2016 Yamaha Raptor 700R SE, 3.99% APR Financing oac - BIG BORE STYLE POINTS Class-leading performance, handling and comfort meets eye-catching style in the 60th Anniversary Raptor 700R SE. Sale price plus tax, license, tire fees, documentation and any freight and/or set up charges. All rebates, dealer incentives and/or customer cash have been applied to the sale price. 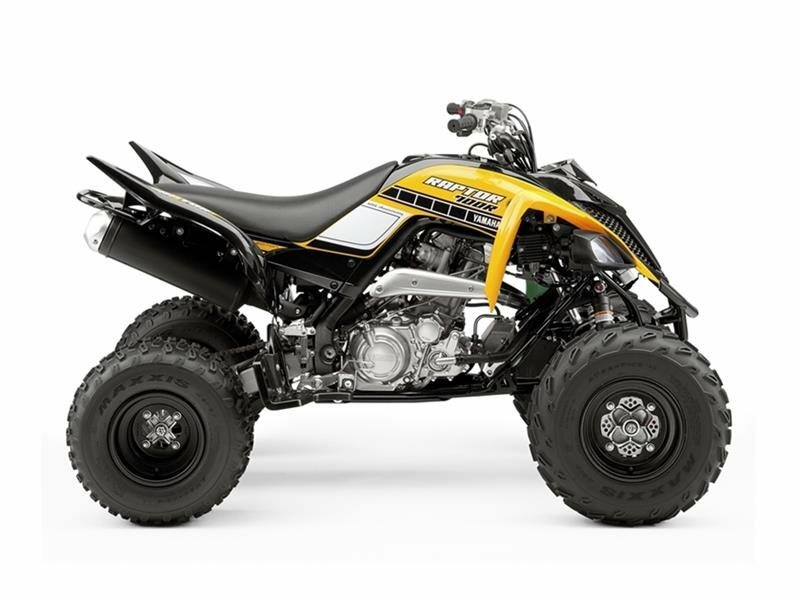 All Yamaha pictures are kind of Yamaha HD motorcycles picture was taken, including motor fuel gauge, engine, engine mounts, tires, fuel tank, the car handles, lights and so on, 2016 Yamaha Raptor 700R SE full-screen viewing,2016 Yamaha Motorcycles today Price: $8,299 .